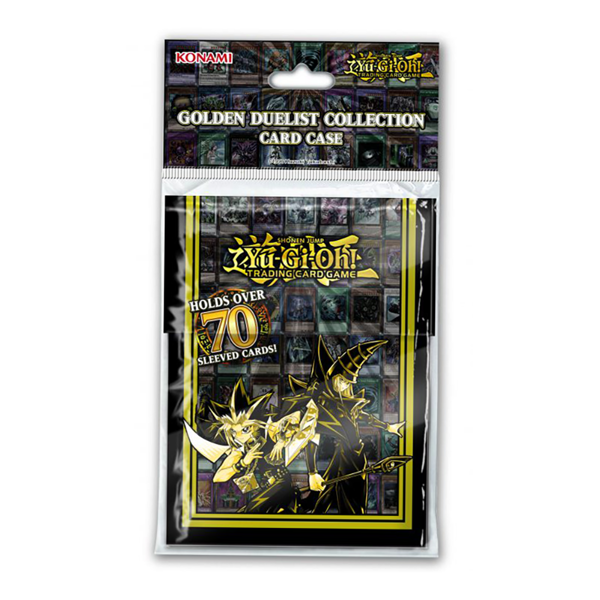 The Golden Duelist Collection Card Case has a special glittering foil that is unique to the Golden Duelist Collection and matches the other accessories. Each Card Case can fit a full Main, Side, and Extra Deck for a total of 70 sleeved cards. It also includes a special divider featuring the outside design as well as the same glittering foil. There’s no better way to protect your Deck while you’re on the go!